Teme Valley. 3 spacious lodges, 2 with wheelchair access. 3 x 2 bedroom bungalows, 1 x 3 bedroom cottage. Fishing pools, hot tub, sauna, holistic therapy/beauty treatments. Ideal base for walking, fishing, touring. 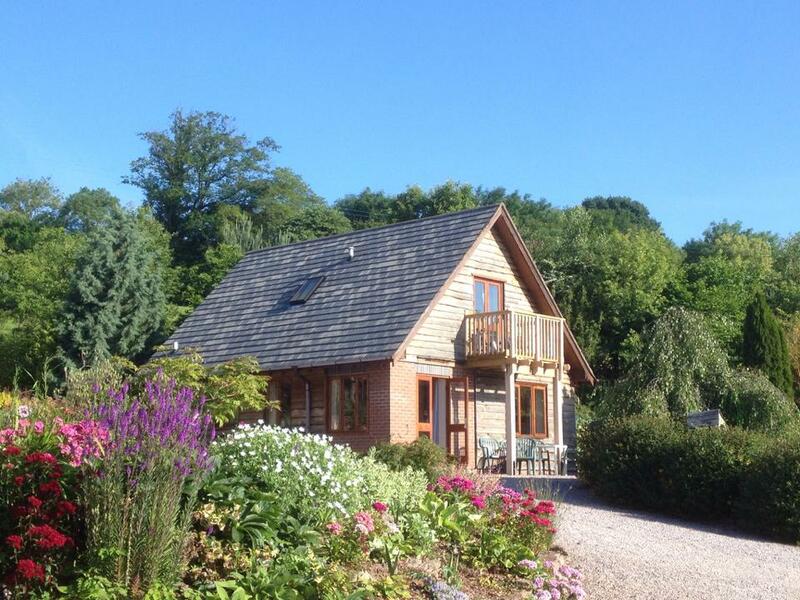 Set in 25 acres of landscaped gardens and orchards with stunning views over the picturesque Teme Valley, Pitlands Farm has 7 holiday properties: 3 x Lodges (each sleep 6), 1 x Cottage (sleeps 6) and 3 x Bungalows (each sleep 6). All of our properties are fully equipped for a self-catering holiday and have their own private garden area complete with outdoor seating and a BBQ. We are ‘pet friendly’ so pets are welcome on holiday too! For the use of all our guests we have a hot tub, sauna, beauty treatment room, games room (equipped with table tennis and pool table) and two coarse fishing pools well stocked with Carp, Rudd and Tench. Day fishing tickets are available for the River Teme (1/2 a mile away). Pitlands Farm offers an ideal location for family & friends having ‘get- togethers’ – multiple properties can be booked so extended family can holiday together, yet have the privacy of their own holiday home. Breakfasts are available to all of our residents served in The Cider Press, our on-site function room. A country pub, The New Inn, is just a few minutes walk away where you can enjoy home-cooked evening meals. Many Worcestershire towns and attractions are within easy reach of Pitlands Farm – Worcester City itself with its famous cricket ground, cathedral, river and racecourse, the market town of Ludlow, Stratford Upon Avon, Malvern Show Ground, as well as numerous National Trust and English Heritage properties, parks and gardens. There are miles of footpaths to be explored around Pitlands Farm and the local area, we are only 1/2 a mile away from ‘The Worcestershire Way’ and a 20 minute drive from the Malvern Hills. Pitlands Farm really offers everything you need for a peaceful relaxing holiday in the beautiful English countryside. During high season, Pippin Bungalow, Heron Lodge & Chaff House are let for weekly bookings from Friday – Friday. Kingfisher Lodge, Woodpecker Lodge, Russet Bungalow and Bramley Bungalow are let for weekly bookings from Saturday – Saturday. Short breaks are available on a late availability basis only during high season. Out of season, short breaks and longer lets (ideal for house moves/relocations/renovation work etc) are available in all properties. Please contact us to discuss availability and pricing.